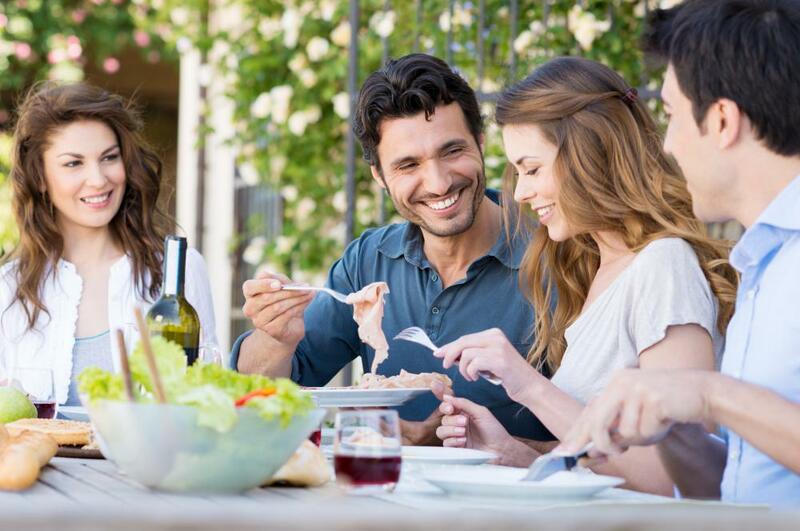 Outdoor speakers can enhance the ambiance at cookouts. Outdoor speakers are those that are designed for use outside instead of indoors. Typically, these speakers are designed to stand up to the elements and deliver good sound, despite the fact that they will be used in a different type of environment. For example, indoor speakers benefit from a more contained environment and have the walls for reflecting sound. In the outdoors, matters are dramatically different. Speakers have to contend with wide-open spaces and even competition from other sounds, such as whistling wind, barking dogs, and roaring engines. Outdoor speakers can be a wonderful addition to a patio or deck. 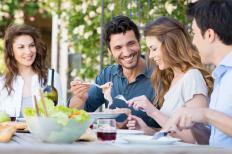 They can be good for listening to music surrounded by friends and family, such as during summertime cookouts. They may also be useful near a pool; the right music can go a long way toward boosting the fun at a pool party. Speakers can even be placed near or in a garden. Gardening chores may go much faster and feel less like work if the gardener can listen to soothing music while she does them. There are many choices when it comes to the look of outdoor speakers. There are those that look just like regular speakers as well as those that are designed to blend in with an outdoor scene. For example, there are speakers designed to look like large rocks, frogs, planters, and tree stumps. There are even some shaped like bears. One of the most important things to consider with outdoor speakers is where they will be positioned. If possible, it’s best to put them up high. This allows for greater sound projection. It may also help the speakers to be heard from further away. It’s also helpful to place the speakers close to a wall, as doing so is optimal for bass output. It's wise to avoid placing outdoor speakers in an exposed location, but sometimes it is impossible to find a sheltered spot for them. In this case, it’s a good idea to purchase speakers that are designed for weathering harsh conditions. A person can also improve their performance by tilting the speakers slightly. This helps them to drain well. Not all outdoor speakers are created equally. Though they are typically designed to stand up to the weather, some may do so more effectively than others. It’s a good idea to look at several different models before you buy. If you have a porch, awning, eaves, or something similar to protect your speakers, you may do well with most models. If your speakers will be bombarded with rain, snow, or even heat, it’s best to go beyond looking for simple weather-resistant models to finding speakers that are made of especially tough materials. How do I Choose the Best Wireless Indoor Outdoor Speakers? How do I Choose the Best MP3 Speakers? How do I Choose the Best Travel Speakers?